Boy, it's like they saw me coming. 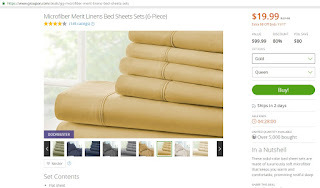 I'm getting ready for my '12 Days of Christmas' posts (holiday gifts to give me, in case you're wondering) and the first thing to show on my Groupon Goods posts today is sheets - on sale starting at $14.99!! What a fantastic deal! That one is ending soon (don't we all have a love/hate relationship with doorbuster sales?!? ), but I'm excited to see what might show up next! If you're not quite ready for the 'sheets' level of adulting, there are definitely some fun items ready to go too! How about a XtremePro HD 1080p Wifi Sports Camera Bundle with Mounts & Accessories for less than $100?? That looks like something my husband might enjoy. 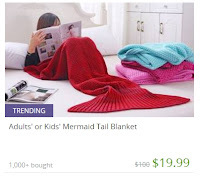 Or for something fun for any age girl in your life, have you looked at the adorable Mermaid Tail Blankets? For just $19.99, it's a great cozy gift for all your fanciful mermaid lovers. I've checked Groupon plenty of times when we were planning a trip or headed out for an evening, but Groupon Goods is a whole new world of fun for me! I can use it for spoiling myself, getting gifts I'm searching for, or even picking up something awesome to have on hand when finding out about a special occasion at the last minute! No point in passing up a great deal, right? 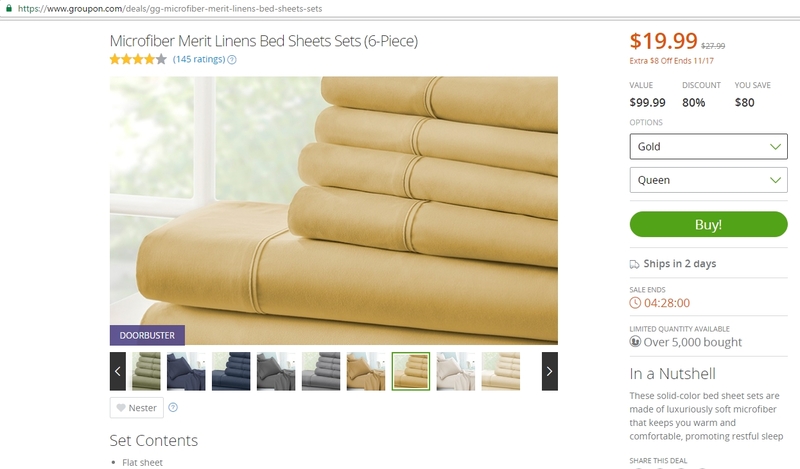 Ooh, I could use some new sheets actually. LOL at 'not ready for that level of adulting!' I only have two pairs of sheet sets and they're both about 4 years old, from when I first moved into an apartment. I love that Groupon offers goods. I mainly use it for restaurants though! Thanks for the info. I love Groupon. I always check there for cheap things to do with my kids.